This month I have been looking back and how much it costs to maintain Dexter. He is a great dog, and there is nothing I wouldn’t do for him. Being a Shih Tzu/Terrier, he requires regular grooming which ends up being the most expensive part of his upkeep. Approximately every six weeks I take him to the big box store for his appointment. This routine there include: a bath, brushing, a cut, nails clipped, teeth brushed, and ears cleaned and plucked. Its quite a process for him, and for me. The people who work there are great, and they always ensure he comes back looking wonderful, but it takes a toll on him. He is in an unfamiliar environment, there are strange dogs coming and going. His breed is ‘alert dog’, so he is constantly on point listening and watching; which makes him come home stressed. To solve two concerns at once, I though I would try home grooming, first, to save some money, but secondly, to keep him in his own environment, with his pack. I don’t really have a good place in my house to groom him. Neither the dining room table, the living room coffee table, nor ‘the floor’, seemed like an appropriate place to take scissors to him. I wasn’t sure where to start, so I did some searching for pre-built tables on Amazon. There are a lot out there! So many features including shelves, non-slip pads, height adjustments, folding or not, the size of the table portion, and how heavy-duty the parts are. It was overwhelming. Also, I don’t need more things in my house. Having a table sitting in the garage or the basement that I will use once every six weeks is a waste of space. Plus, they started around $80.00. At that rate, adding about $50.00 for the cost of clippers, I would need to groom him four times to recoup the cost. I haven’t groomed him once, so I don’t know if I want to commit to four (or more) times! Then I looked online to see if there are instructions for building your own table. Yes! There are a few good sites with materials required and instructions, but I didn’t want to invest a ton of money into the table. I have never groomed a dog before. Based on the videos I watched, it doesn’t seem too hard, but those could be famous last words. Since I didn’t know if I am going to make this an ongoing thing, I wanted to build a sturdy but inexpensive grooming table that wouldn’t take up much room. Dexter is about 28 pounds. He is a relatively small dog. He usually fits in the “Medium” category for a walking harness, leash, size of toys, etc… so I knew the table didn’t have to be overly large. Looking at the sizes available on Amazon, and the size of the anti-slip pad I was planning on using, I knew the table would have to be about 24″x36″. I plotted the size of the dog and the table on graphing paper and the fit looked about right. I realized I had a small, portable workbench in the basement, it is a Black & Decker Workmate “Project Center”. That got my mind going, it has a solid 24″ x 24″ foot print, holes in the surface on the top (I could bolt a larger board to the top as a tabletop), and figure out something for the grooming arm. Using the board bolted to the top would allow me to remove the grooming surface between projects, and re-attach it when necessary. I also wouldn’t need to buy legs, saving on the expense. Voila! A plan was in place! I needed to come up with the material list of what I would need from the hardware store. I’m a huge fan of Lowe’s. I know whatever I could dream up, they could help me make. All told, my shopping trip to Lowe’s cost about $30.00 (wood, bolts, and rubber). The rest of the supplies I had at home. The grooming arm from Amazon cost about $19.00 for a grand out-of-pocket total of $49.00. One note about the grooming arm. I found instructions here (Youtube video) which I would have eagerly attempted, but when the author started demonstrating drilling holes in the conduit, and using a vice, I knew I didn’t have the setup to do this at my home. Any cost savings of building the arm myself would be lost in purchasing the necessary equipment. While I can understand the value of having a well-stocked shop, it wasn’t what I was trying to accomplish with this. The actual construction took less than an hour. Step One: Cut one foot off the length of the board. Step Two: Drill the holes used to attach the board to the work bench. Turn over the board and the work bench. Center the workbench on the board and use the pencil to trace around four of the pre-drilled holes in the work bench, marking where the holes will be drilled in the work surface. Drill the holes. I made sure the board was centered to keep the weight over the legs; improving stability. Step Three: Set everything right side up, and cut the truck box mat to fit the grooming surface. The square feet of the mat were enough, but the dimensions didn’t match nicely with the board, so I had to cut two large pieces, and configure two smaller pieces to go at the end. After all the pieces dry fit nicely, apply the spray adhesive to the board and press the mat onto the board within 15 seconds for a solid bond. My goal was to keep true to the 36″ length. If my grooming goes well, I may upgrade to a real mat designed for grooming; they are designed for 36″ or 48″ lengths. You could opt to cut off the last few inches so you don’t have mis-matched pieces at the end. Step Four: Feed the bolts up through the bottom of the board and use the utility knife to score the mat; allowing the bolt to pass through. Remove the bolt and insert it from the top (through the mat, the board, the workbench), then add the washer and tighten the nut. Repeat for the remaining holes. Step Five: Attach the grooming arm. This one bolts on nicely. You can extend the top section to give more height, or remove it and insert the short end into the vertical part to get more coverage across the table. I have done so in this example. Step Six: Add some weight. I put Dexter up on the table and it was sturdy, he wasn’t going to tip it over; but I decided to add some weight across the base to lower the center of gravity, and add some stability. Using the scrap material from Step One, I placed it across the horizontal braces and added the landscaping brick. Another option would be to add something heavier – I had a 40 bag of soil that I could have placed in stead but based on my situation I feel the brick is more than enough. It doesn’t take up too much room; I can remove the surface and use the workbench between grooming sessions. It was inexpensive. As I mentioned earlier the supplies and arm came in around $49.00. I will also need to buy some clippers, but more on that in another post. Your final cost will depend on what supplies you have at home. The biggest supply expense was the board (which may be readily available to you), and the grooming arm can be built for about $10.00 in conduit (if you have the tools necessary to assemble it). It is safe; the work surface is solid, the base is sturdy and reinforced with the landscaping brick. This entry was posted in grooming, review, shopping on July 30, 2017 by dexterkelly. After a recent visit to the vet, Dexter was warned about the potential for requiring dental surgery to clean his teeth. This should involve sedation, x-rays, baby teeth extraction, scraping of plaque. In an effort to prevent him from going through all that, I added this Virbac Enzymatic Toothpaste to am order from Chewy.com. It has a great Vanilla Mint flavor that keeps his breath fresh. The consistency is a bit like mustard; all it takes is a little squeeze. I use less than a pea-sized amount on the small end of the brush. This tube will last a long time! I had a toothbrush from a visit to the vet and started a nightly brushing. It took a few times of him tasting the toothpaste, and smelling the toothbrush and feeling it on his gums before he would let me spend time brushing with the paste. Now, he sits on the couch next to me and let’s me brush for a few minutes every night. Even in the few weeks that we have been brushing, there has been a noticeable improvement in the plaque on this teeth, and the freshness of his breath. We tried before with some toothpaste from the store, but he didn’t like the bacon or peanut butter flavor. I can’t blame him, however. It did taste like medicated bacon. Thankfully, Dexter took to the Virbac quickly and looks forward to his nightly cleaning. * I paid full price for this product at Chewy.com and was not compensated for writing this review. This entry was posted in grooming, review and tagged chewy.com, dental hygene, grooming, toothpaste on May 7, 2016 by dexterkelly. Today, I was reading through a few articles on cleanliness with dogliness. Aside from the dirty paws that need to, seemingly constantly, be cleaned every time they come in from the outside, what things do dogs bring in with them? Do they bring dangerous things in from outside? Is it safe to let my dog sleep in bed with me? This article from Popular Science “Dirty Dog: Do Pets Track Bacteria In Your Home” was a great eye opener about what kinds of dirt and bacteria our four legged friends bring with them. Another article: “Sleeping With The Enemy: What You Get From Your Pet“, this one from Wired.com, tells of the danger of the bacteria your dogs spreads when they sleep with you, and lick your delicious face and feet. While the article above stopped short of saying “don’t let your dog sleep with you”, they did lay out some precautions, and warned against letting dogs lick you. What kinds of things can I do to prevent dogs bringing these into my home? Sadly, due to the very nature of bacteria and viruses, it is impossible to sterilize your dog each time they come in, but you can limit the amount of bacteria from entering your home by taking some simple steps; wash your dogs feet, and wipe their coat after a trip outside. Not only will cleaning them help keep them safe and looking pretty, but it reduces the amount of matter on them for them to leave through the house. Keep a roll of paper towels close to the most frequently used dog entrances. I prefer Bounty Select-A-Size as it reduces the amount we consume each month. Usually one section will do for each trip. Wipe your doggy with a cleansing wipe. These disposable wipes have a cleanser in them, like a baby wipe, to help remove dirt and soil but are formulated to keep pads healthy and coats shiny. I keep these Earth Bound Grooming Wipes next to the back door. They come in a resealable container, and 100 to a package so they are always handy. Partially fill a small plastic container with warm water and wash dirty paws just outside the door. Dry with a cloth or paper towel. Like a mini-spa treatment, this is the most effective way as it completely removes dirt from between toes and tight-knit fur. Along the lines of #3 above, there are a few more elegant solutions than a container. Products such as The Paw Wash For Dogs, The Paw Plunger, and the Paw Boss are less messy, and have soft filaments inside the help gently remove dirt. 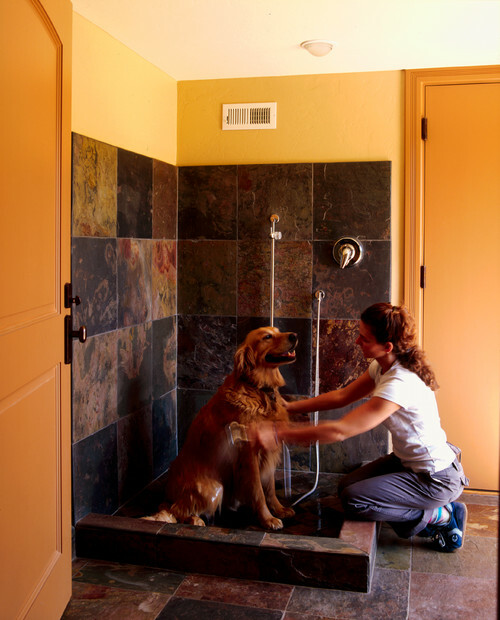 While vastly more expensive, those with the resources and space are building a dedicated dog washing sink inside a laundry area, or outside as part of landscaping. Check out the images below for some inspiration. This entry was posted in grooming, safety on April 9, 2016 by dexterkelly. This post was not sponsored by Chewy.com and I received no form of compensation to write this. I recently received this mailer and thought three things: 1) I’m glad that someone finally has an online store targeted specifically for pet owners with a wide variety of products, 2) I like the idea of saving money on my first order, 3) they advertise fast, free shipping (over $49) – how is that possible. The problem with pet food is that it comes in very large bags which are inherently expensive to ship. I wanted to see if the prices on the site were going to be higher to compensate for the extra shipping expense. As an FYI, the shipping cost is $4.49 for orders under $49.00, so even if you don’t qualify for free shipping, it is still incredibly reasonable. I went to their site, www.chewy.com, and was surprised at the number of brands of food available! When you select your pet (dog/cat) you get a list on the left to sort by brand, and there are 118 listed, all with multiple varieties! Clearly they have a focus on ensuring you find what you are looking for on their site. Other categories aren’t as deep, but but have a well curated selection. Even with dog ear cleaners there are several brands to choose from, several sizes, and natural to traditional solutions. Cages, crates, hundreds of treats, bones, toys, dental products, prescription food, flea collars, brushes and combs, hip supplements; this is a full-line site. I was quickly able to reach the $49 to qualify for free shipping! That being said, the prices were right in line with Amazon. Curiously, the price for the Vet’s Best Ear Relief (for itchy and moist ears) was $4.19, exactly the same price as on Amazon. The price for the food was the same price as Amazon and the grocery store, the Kong rope toy was less expensive and the minty treats weren’t available. I added an 11 pound bag of Rachel Ray’s Nutrish Zero Grain Beef, Potato & Bison dry food to my order. I had looked for this size at the grocery store but they were sold out. On my last grocery trip, I had to get the smaller (more expensive per pound) bag because there was only enough at home for one more meal. Chewy.com had it in stock and I didn’t have to pay a horrendous shipping charge to get this item. Now comes the incredible part; how quickly I received it. I placed my order at 6:23pm on March 24, received the confirmation email from Chewy.com and a second email from FedEx. I received an email at 2:42 on Friday morning that my order had shipped, and at 11:17 on Saturday morning the package had arrived! Just over 40 hours after placing my order, the package was on my doorstep! Dexter making sure the package is fit for consumption. The glorious moment when you open the package to see all the fun things inside! Rachael Ray Nutrish, toohpaste, new Kong toy, minty treats, and ear cleaner. According to an article in Florida’s Sun-Sentinel, the company has distribution centers in Nevada, Indiana, and Pennsylvania to ensure orders arrive quickly. This was proven in my case! Of course, when the box arrived Dexter was all about sniffing it out and seeing what was inside. He makes a cameo in the pictures and even enjoyed smelling and sitting in the empty box. 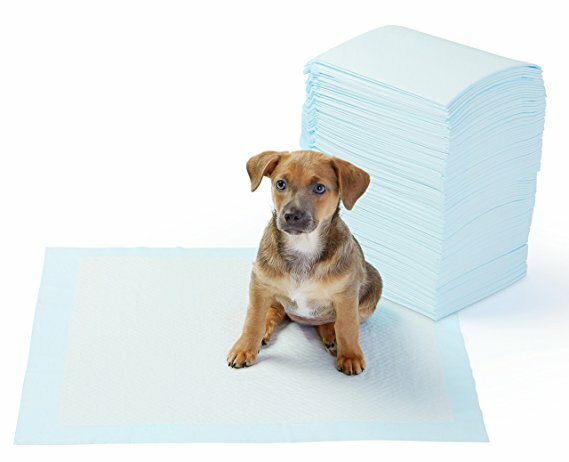 Would I shop again at Chewy.com? Yes. Great selection of products, seriously fast shipping, competitive prices, and 24/7 customer service by phone for questions. 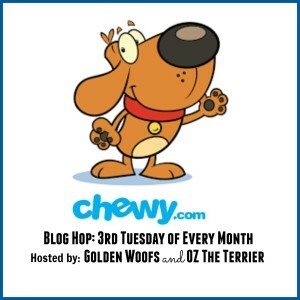 This post is part of the blog hop hosted by Sugar and Oz. Keep hopping by using the link below! This entry was posted in grooming, nutrition, review on March 27, 2016 by dexterkelly. Time for a New Dog Groomer? I’ve set my efforts on finding the best dog groomer for Dexter. He was anxious at his last appointment with all the other dogs around so I’m looking bringing him to a neighbor who has a small grooming operation. Research groomers in your area. The most important for me is the groomers shop. A well maintained and clean shop means the groomer has passion for what they do, and they pay attention to details. I have been going to a big box groomer for a long time and have noticed that they don’t pay attention to some details. On our way to the grooming section, quite often dogs have marked at the end of the aisles, there is lots of hair in the corners of the salon waiting area, and spot sweeping is minimal throughout the day. The store is also full of foreign smells. Dog food, cat food, bird food, fish food, frog food, wet food, dry food, catnip, brands and brands and brands of all of the above, dog toys, lights, barking, children running, adults talking, music, announcements, constant motion. I think it might be overwhelming. A smaller groomer will have a much more relaxing environment. Also, because they do a large volume, there are constantly other dogs around, and during peak times, there are LOTS of other dogs around. Dexter is friendly and wants attention from everyone so he wiggles and squirms making for extra work for the groomers, and it also increases the stress that he experiences. After Dexter was house trained he never had a single problem. This past trip to the groomers, he needed relief in the waiting area, in the grooming area, and in the parking lot. He was also going through either extreme stress or excitement while we were going there (constant yawning and looking around at high alert). i think its time to mix it up and see if he has a more enjoyable experience with a smaller groomer. This entry was posted in grooming and tagged appointments, grooming on November 23, 2014 by dexterkelly.